Our position as “your local John Deere dealer” has come to mean a lot more for our customers since we started way back in ’55. In addition to being our local farmers’ best friend, we also like to be there for all of our weekend warriors! We carry a full inventory of tools that are made to help you tackle every chore that you face on your land. Today, we’re taking a look at one tool that no lawn care professional should ever go without: a quality zero-turn mower. This economical, easy-to-use line of residential mowers is the best way to mow well for a great price. In the Z300 Series, you’ll find seven different mower models that each offer quality, comfort, and precision. These mowers are right at home in your backyard. With larger frames and fuel tanks, this collection of mowers offers smooth rides and superior cuts. The Z500 Series offers some of the quickest, most comfortable and most efficient zero-turn mowers on the market. It’s time to mow like you mean it. Are you facing some terrain that’s just a little too tough for the Z300 or Z500? Then you’ll feel right at home with this heavy-duty line of hardworking mowers. With commercial-grade reinforcements and speeds up to 10 mph, the Z700 series can help you take care of the biggest mowing tasks on your land with ease. It’s time to kick it up a notch with this commercial-grade line of zero-turn workhorses. The Z900 Series boasts 13 different mowers that each offer a unique collection of features that can tackle jobs of all shapes and sizes. All of these are made complete with Hustler’s wide selection of zero-turn mower attachments, which include mulch kits, light kits, shock-absorbing caster kits, and more. While Hustler may not be a name that you’re quite as familiar with, don’t be mistaken — the Raptor isn’t here to mess around! 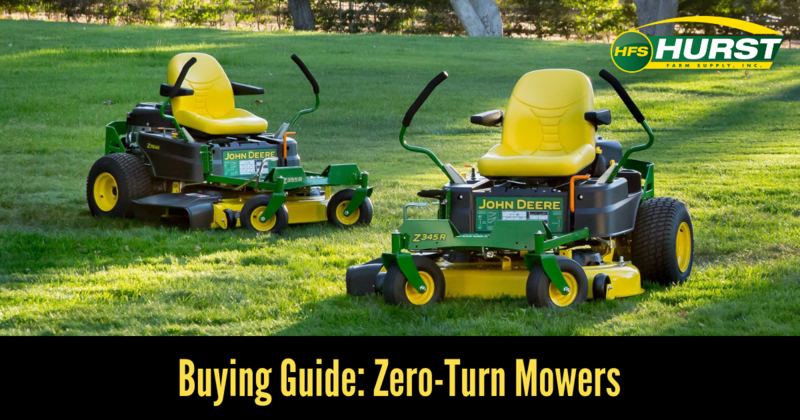 No matter which zero-turn mower you choose, you can be sure that this is a machine that will prove its worth as an absolute necessity time after time on every job that you encounter. You can find these mowers and more at your nearest Hurst Farm Supply. 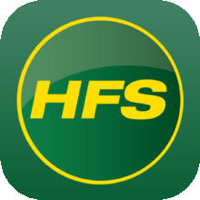 Click below to start shopping our online inventory of high-quality turf equipment!